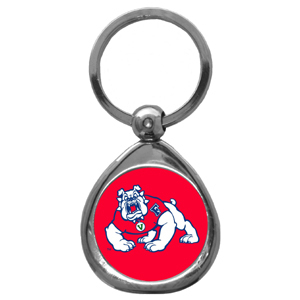 Our fun, flexible Fresno State Bulldogs key chains are made of a rubbery material that is layered to create a bright, textured Fresno State logo.Check out all our other great NFL, NCAA, MLB, NHL product line up. Thank you for shopping Crazed Out Sports!! 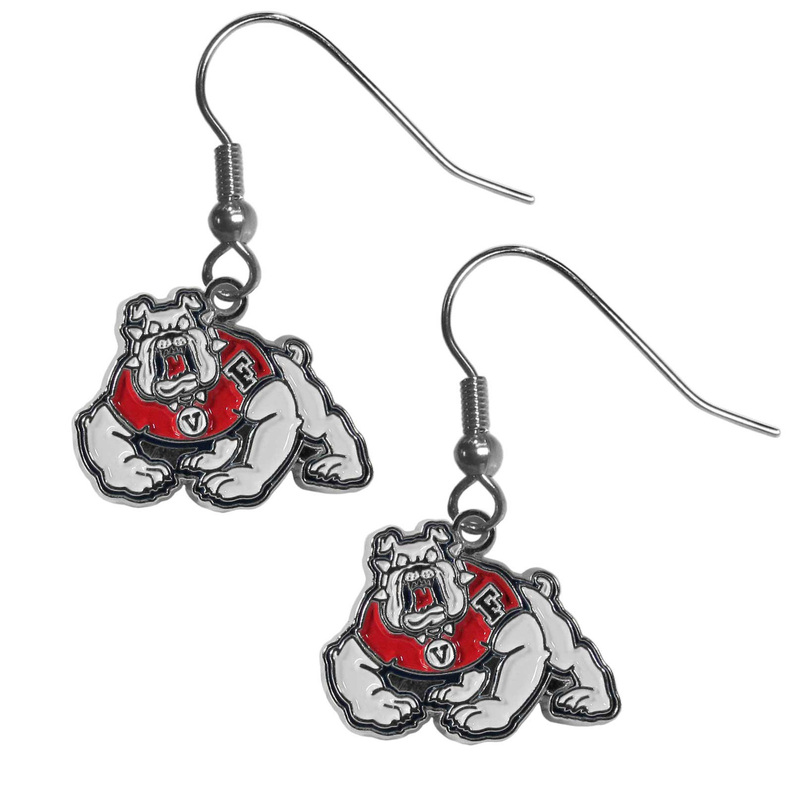 These on fleek Fresno St. Bulldogs Dangle earrings are a lightweight and casual fashion earring with a striking team charm. These trendy understated earrings feature a carved and detailed enameled charm. Sporty meets fashion-forward with these spirited earrings that would make the perfect gift for any female fan. These trendy earrings are the perfect for every day but especially fun to glam up on game-day. We have combined the wildly popular Euro style beads with your favorite team to create our Fresno St. Bulldogs bead necklace. The 18 inch snake chain features 4 Euro beads with enameled team colors and rhinestone accents with a high polish, nickel free charm and rhinestone charm. Perfect way to show off your team pride. Expertly crafted Fresno St. Bulldogs tag necklaces featuring fine detailing and a hand enameled finish with chrome accents. 26 inch ball chain. Our large hoop earrings have a fully cast and enameled Fresno St. Bulldogs charm with enameled detail and a high polish nickel free chrome finish and rhinestone access. Hypoallergenic fishhook posts. Flash your Fresno St. Bulldogs spirit with this bright stretch bracelet. This new bracelet features multicolored team beads on stretch cord with a nickel-free enameled chrome team charm. This bracelet adds the perfect pop of color to your game day accessories. We have combined the wildly popular Euro style beads with your favorite team to create our Fresno St. Bulldogs bead bracelet. The 7.5 inch snake chain with 2 inch extender features 4 Euro beads with enameled team colors and rhinestone accents with a high polish, nickel free charm and rhinestone charm. Perfect way to show off your team pride. Get in on the trend! State themes are a trend that just keeps getting more popular and this jewelry set takes the state style and give it a sporty twist with a Fresno St. Bulldogs necklace that features an Arizona state outline charm paired with a beautiful team charm and matching team charm dangle earrings. The earrings feature hypoallergenic fishhook posts that are nickel free. This unique Fresno St. Bulldogs Nail Care/Bottle Opener Key Chain has 3 great functions! 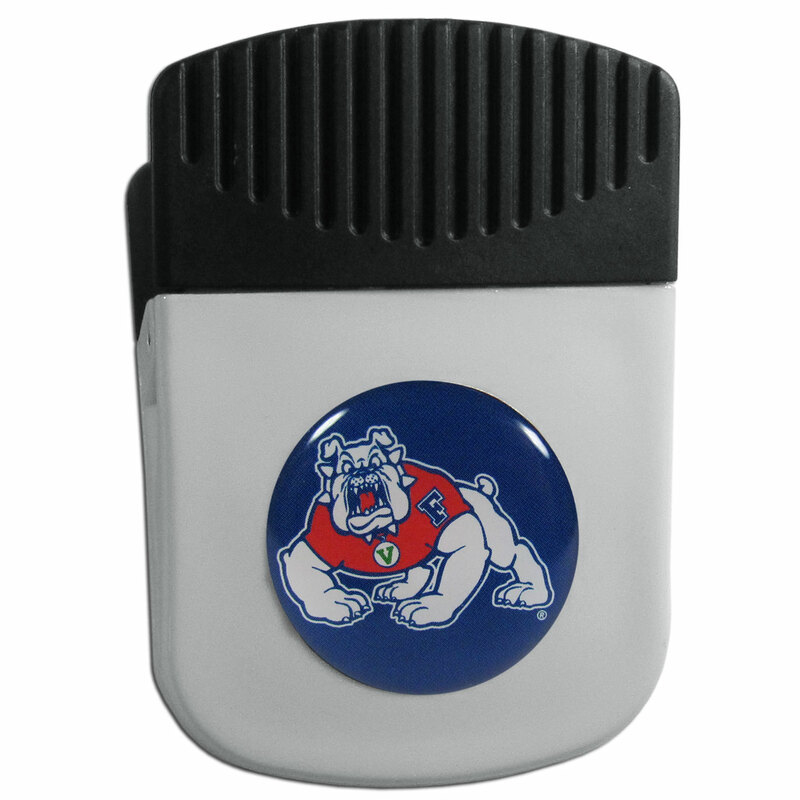 The key chain opens to become a nail clipper, when open you can access the nail file pad and the Fresno St. Bulldogs Nail Care/Bottle Opener Key Chain has a bottle opener. 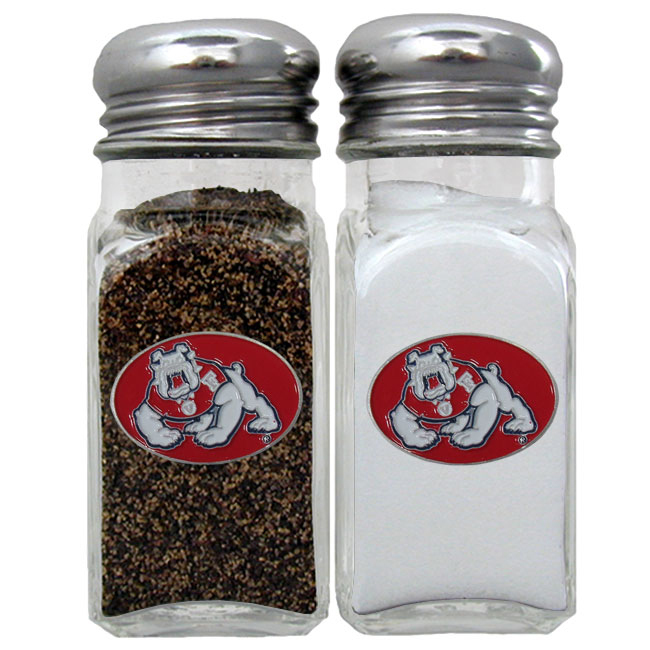 A must have for game day and a perfect everday accessory for an avid Fresno St. Bulldogs fan. Our popular wrap sunglasses are as fashionable as they are durable. The team colored frames have flex hinges for comfort and durability with team colored rubber sports grips. Maximum UVA/UVB protection. Check out all our other great NFL, NCAA, MLB, NHL product line up. Thank you for shopping Crazed Out Sports!! Our classic single charm bracelet is a great way to show off your team pride! The 7.5 inch large link chain features a high polish Fresno St. Bulldogs charm and features a toggle clasp which makes it super easy to take on and off. Check out all our other great NFL, NCAA, MLB, NHL product line up. Thank you for shopping Crazed Out Sports!! Our Fresno St. Bulldogs lanyards are a great way to show off your school pride and keep track of your keys, ID's, badges and much more. The lanyards are made of a comfortable nylon with screen printed school logos. They feature safety closures that disconnect if the lanyard becomes caught on something. Check out all our other great NFL, NCAA, MLB, NHL product line up. Thank you for shopping Crazed Out Sports!! Make a statement with our collegiate chain necklaces. The 20 inch chain features a fully cast, high polish Fresno St. Bulldogs pendant with vivid enameled details. Perfect accessory for game day and nice enough to wear everyday! Check out all our other great NFL, NCAA, MLB, NHL product line up. Thank you for shopping Crazed Out Sports!! Our crystal dangle earrings are the perfect accessory for your game day outfit! The earrings are approximately 1.5 inches long and feature an iridescent crystal bead and nickel free chrome Fresno St. Bulldogs charm on nickel free, hypoallergenic fishhook posts. Our functional and fashionable Fresno St. Bulldogs survivor bracelets contain 2 individual 300lb test paracord rated cords that are each 5 feet long. The team colored cords can be pulled apart to be used in any number of emergencies and look great while worn. The bracelet features a team emblem on the clasp. Our functional and fashionable Fresno St. Bulldogs camo survivor bracelets contain 2 individual 300lb test paracord rated cords that are each 5 feet long. The camo cords can be pulled apart to be used in any number of emergencies and look great while worn. The bracelet features a team emblem on the clasp. 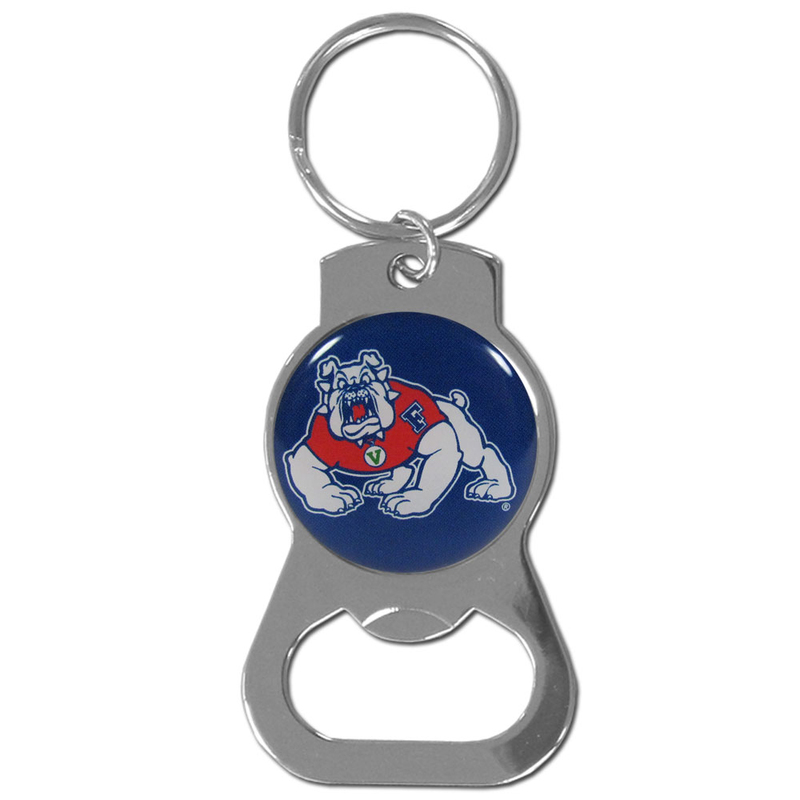 Hate searching for a bottle opener, get our Fresno St. Bulldogs bottle opener key chain and never have to search again! The high polish key chain features a bright team emblem. Use this attractive clip magnet to hold memos, photos or appointment cards on the fridge or take it down keep use it to clip bags shut. The magnet features a domed Fresno St. Bulldogs logo. Our leather and canvas padfolio perfectly blends form and function. The attractive portfolio is bound in fine grain leather with an attractive canvas finish and the interior is a soft nylon. 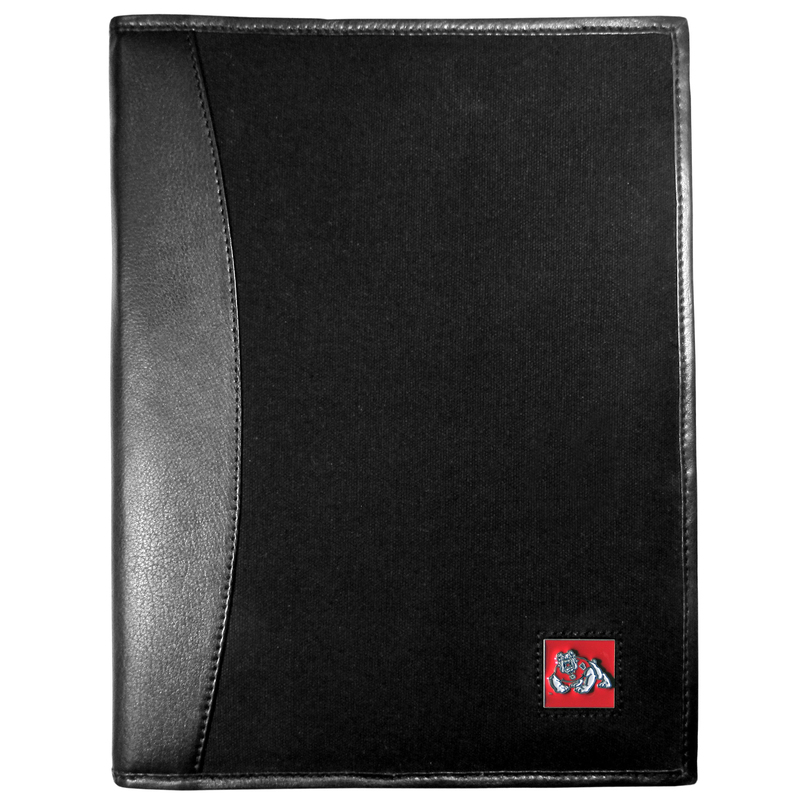 This high quality business accessory also features a fully cast metal Fresno St. Bulldogs emblem that is subtly set in the corner of the organizer. It is packed with features like 6 card slots for badges, business cards, hotel keys or credit cards and ID with a large pocket for loose papers and a writing tablet slot making it a must-have for the professional on the go. 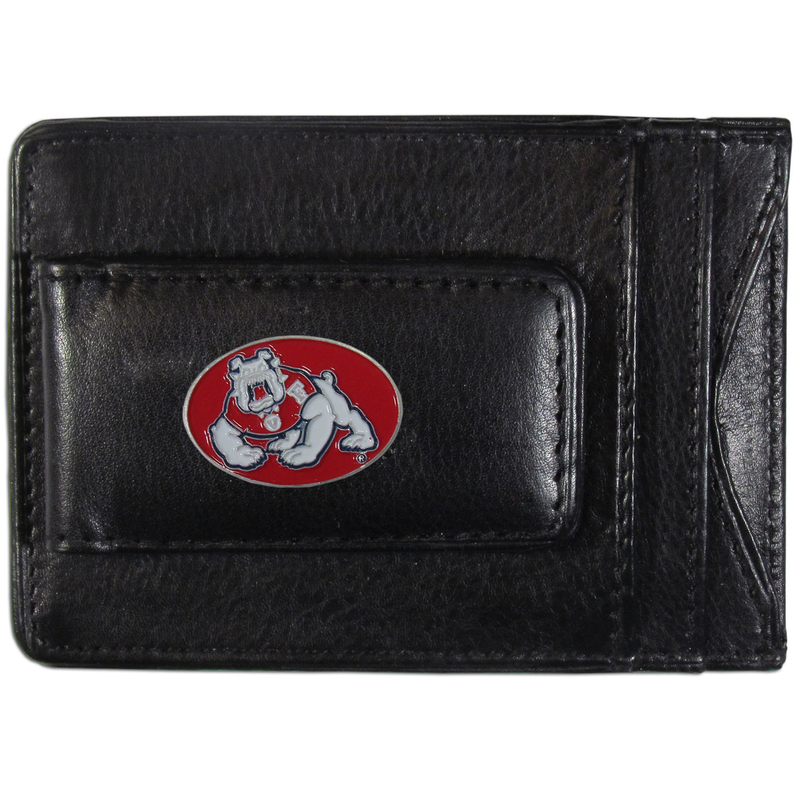 Our Fresno St. Bulldogs genuine leather cash & cardholder is a great alternative to the traditional bulky wallet. This compact wallet has credit card slots, windowed ID slot and a magnetic money clip that will not damage your credit cards. The wallet features a metal team emblem.